The moon sets over Dorchester neighborhood along I-93 on Wednesday. The third supermoon of 2019 on Wednesday isn’t just special because it’s the last supermoon of the year. It’s also the first supermoon in nearly 20 years to fall near the spring equinox. The “super worm equinox moon,” as it’s known, follows January’s “super blood wolf moon” and February’s “super snow moon.” Full moons in March are traditionally called “worm moons” because of rising temperatures, according to the Farmer’s Almanac. 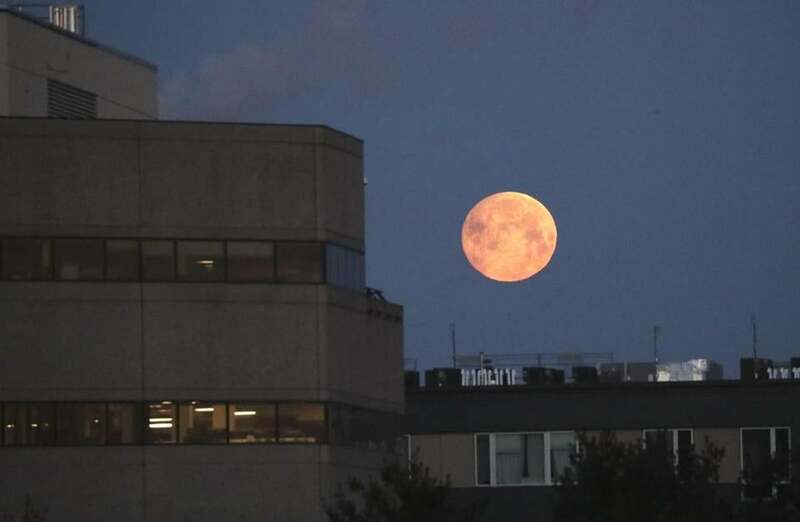 Supermoons occur when the moon is full or nearly full and it’s at its closest point in its orbit around earth, also known as its perigee, said Quinn Sykes, manager of Boston University’s Judson B. Coit Observatory. Having three or four supermoons in a year is normal, Sykes said, and having all of them fall in the beginning of the year is just based on the moon’s cycle. “The moon has its own orbital mechanics, so this is just when it happened to fall this year,” he said. Setting moon over Cambridge office building on Wednesday. This supermoon will hit its peak at 9:43 p.m. Wednesday, almost four hours after the spring equinox officially hits. This is the first time the two have landed on the same day since March 2000, according to EarthSky.org. 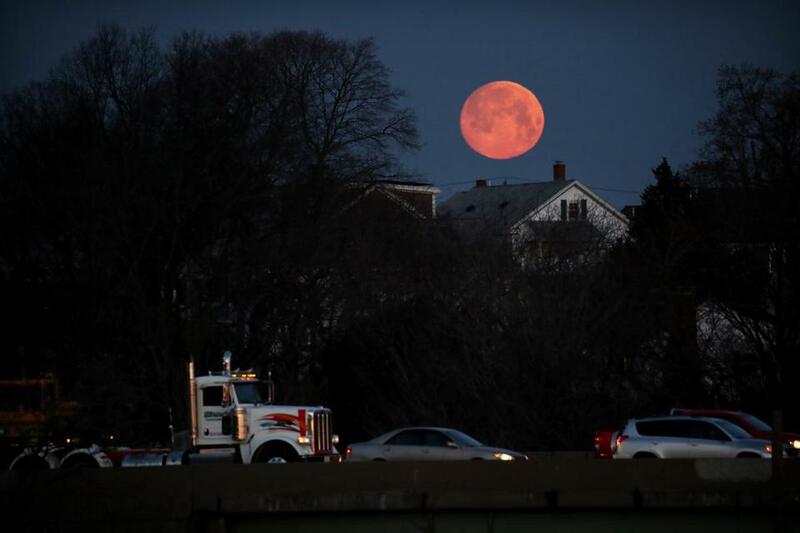 Those hoping to catch the supermoon should be in luck: The National Weather Service is predicting mostly clear skies across New England, with clouds increasing as the night goes on. If you miss Wednesday night’s supermoon, you’ll have to wait until next year to catch another one.